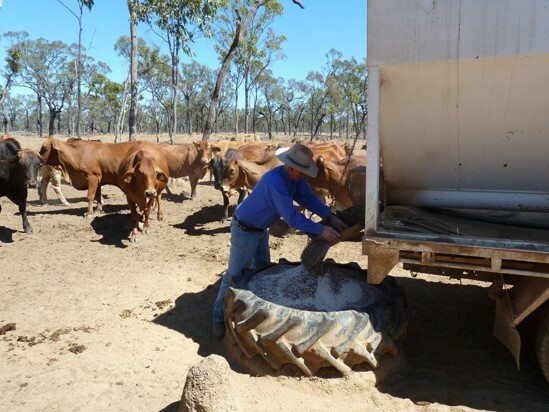 IN a challenging environment to breed cattle, the Lethbridge family at Werrington north west of Townsville have managed to lift their weaning rates from 47 percent to 76 percent in the past 20 years. There has been no single silver bullet behind that achievement, rather a combination of strategies involving herd management, genetic selection and pasture and nutrition management. 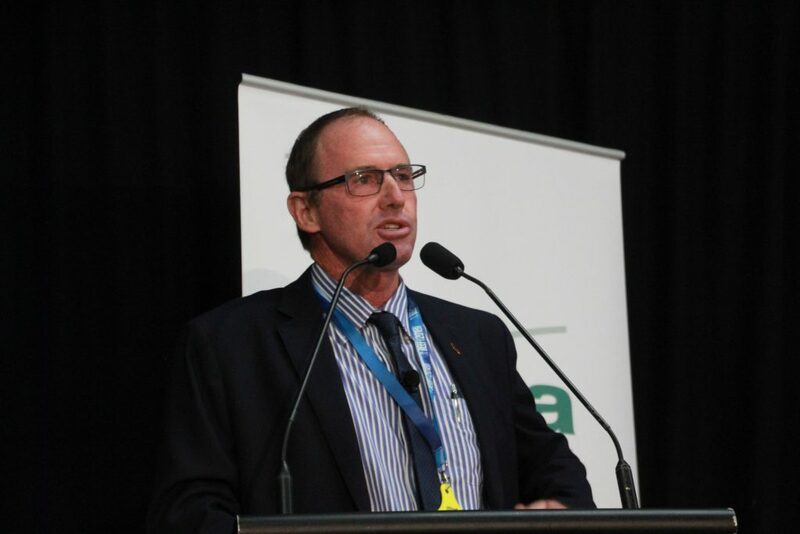 Russell Lethbridge, who serves as AgForce’s northern region president and is a director of Meat & Livestock Australia, provided an overview of his family’s operation at an MLA genetics forum at Beef 2018 in Rockhampton earlier this month. “Make sure what you select for is what is going to keep you in business,” Mr Lethbridge said. Fertility is recognised as the biggest single profit driver in the north. 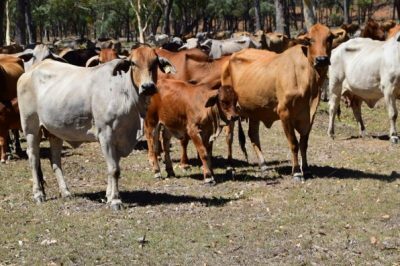 However, Mr Lethbridge said, the northern Australian cattle herd had indirectly selected against fertility for about 50 years. Weaning rates of 47pc are still not uncommon throughout the region. Environmental conditions are one of the biggest challenges to running a successful breeding operation. At Werrington in particular, which is highly elevated at 760 metres above sea level, temperatures can vary throughout the year from heat of 40 plus degrees Celsius in summer to freezing conditions as low as minus 10 degrees in winter. Protein levels in pasture are typically below the 6 percent maintenance requirement of the average breeder for seven to eight months of each year. “To get an animal to perform in those conditions it is certainly a challenge,” Mr Lethbridge said. The Lethbridges purchased their home property Werrington at Einsaleigh from another branch of the family in 1980. They then walked straight into one of the worst droughts of the twentieth century. “In our first two years of ownership we lost half our breeders in the 1980-82 drought,” Mr Lethbridge said. Selecting the right genetics has been a crucial component of the Lethbridge’s journey to creating an efficient, productive and profitable cattle business since that time. Bulls are selected on data and “speed of rebreed” through generations of dams using days to calving EBVs, low age of puberty thresholds, scrotal circumference measurements and the live export and Jap Ox indexes for Brahman cattle. “Because animals are selected for early maturity, (and to be) well-muscled and easy doing, at any stage from 12 months to 2.5 years of age these animals are marketable, which helps us to counteract the variability of the seasons,” Mr Lethbridge said. An extremely important by-product of selecting for fertility was adaptation, which allowed for easier doing animals and ‘on-time turnoff’ Mr Lethbridge said. Temperament is also considered to be of critical importance. Weaners are put through a thorough education program to ensure the herd remains quiet and easy to work. Current breeder herd management includes a 120-day seasonal joining period, with calving from September to December to align peak animal demands with peak pasture production. “Most importantly with our system and our environment we must have the last calf weaned by the third week in April, so we’re not carrying lactating cows through winter, and we’re allowing cows to build up body condition score so they’re calving in good condition to allow a better rebreed rate from there,” Mr Lethbridge said. All cows that fail to calve and empty heifers are sold. Heifers are segregated and managed separately until they are pregnant with their second calf. “In the northern herds it is this group of animals that find it reasonably difficult to rebreed,” Mr Lethbridge explained. “It is not uncommon to find a 5pc rebreed rate in heifers in the environmental conditions up there, so it is doubly important to have adapted cattle that will conceive in a lower body condition than what would be absolutely desirable in better conditions. In addition to improving weaning percentages, the strategies employed by the Lethbridges have resulted in decreased in breeder mortalities, from 5pc down to 0.5pc, and an increase in culled cow slaughter weights of 10-15pc. Mr Lethbridge said the management strategies had also helped to lower input costs by enabling the operation to better target its supplementary feeding programs and to reduce its mustering requirements. Supplementation of phosphorous throughout the year had also helped to improve production results on Werrington in line with results published from Kidman Springs trials. The Lethbridge’s have recently inducted 2.5 year old heifers into the northern genomics program, which was discussed at Beef 2018 by geneticist Dr Ben Hayes. Property development has also played a part in helping the Lethbridges achieve strong results by doubling the number of waters and paddocks, which has led to reduced grazing pressure and improved utilisation. The addition of stylos into the pasture mix had also had a positive effect on production. “The next steps for our business are to further tighten our joining period, while continuing to select superior genetics that have commercial relevance,” Mr Lethbridge said. He also acknowledged the role of several people who had helped to firstly measure where their operation was at, and then challenge them to change and improve, including Qld DPI northern extension officers, RCS and its Grazing For Profit program, and Alf Collins of the Collins Belah Valley (CBV) Brahman stud. 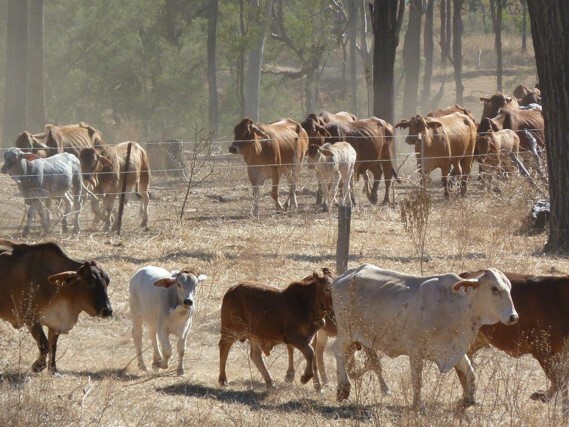 The Lethbridges run a herd of about 10,000 cattle, divided between Werrington where their breeding operation is headquartered, a growing property called Rainmore between Alpha and Tambo in Central Queensland, and a ‘satellite herd’ run on agistment where grass is available. 80pc of the operation’s male cattle are turned off in the 450-520kg weight range to feedlots for the 100 day grainfed Jap Ox market. Target market also include the domestic feeder and slaughter market and live export. Good read Russell. It’s a credit to your opened mindedness and adaptabilty yourself. A big salute to Werrington Cattle Company. Well done and congratulations on your achievements over the past 20 years of improving your business . Look and learn people and to the blind and deaf politicians.